Superabsorber dressing that absorbs and retains moderate to high exudate - even under compression. 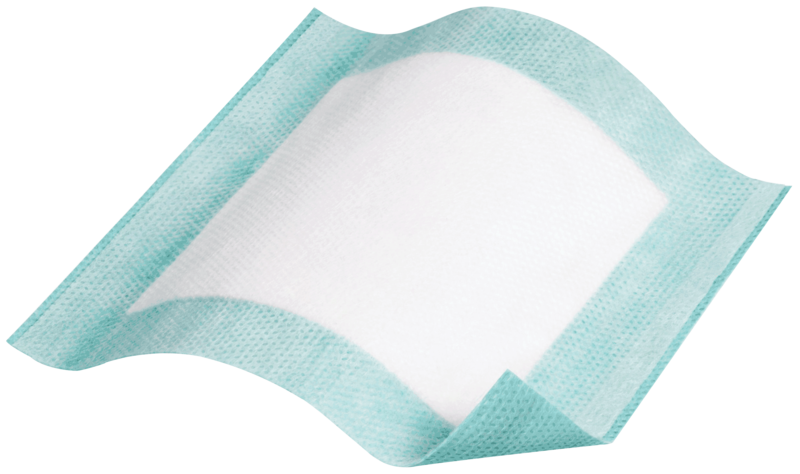 Tegaderm™ superabsorber dressing can be used both as a primary or secondary dressing. Helps prevent strike through and protects clothing and bandages from contamination. Deep wounds require a wound filler to be applied, since the Superabsorber dressing may not be used as a sponge. Rapid wicking distributes exudate into superabsorbent polymers. Locks exudate away from the wound, protecting wound edge from maceration. Superabsorbent sodium polyacrylate gelling particles retain exudate even under compression. Protects fragile tissue and provides patient comfort.